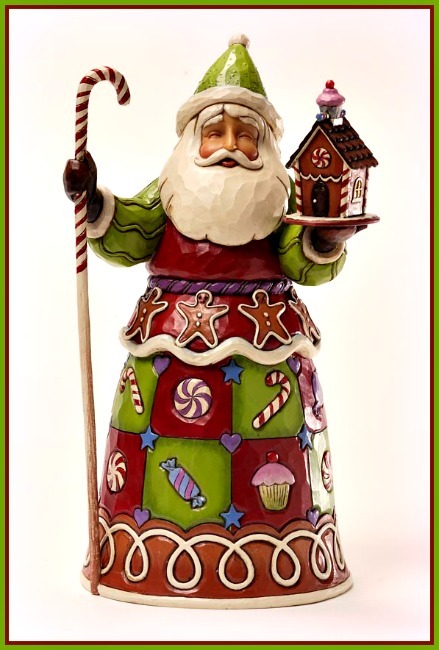 Sweetest Santa - Sweets Santa Figurine from the Jim Shore Heartwood Creek by Enesco. Made of Stone Resin and 100% Polyester. 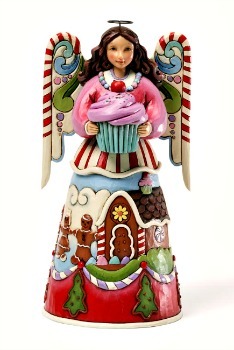 Measures 9.75" H.
Jim Shore's new Sweets Santa is a cornucopia of sugary delights. With peppermints and cupcakes and a whole flock of gingerbread men; this St. Nick appeals to anyone who loves a Christmas Eve treat.